Below is a list of homes for sale, if you would like to refine your search within 85254 you can easily do so here. Own a piece of Kierland hovering over the Westin Kierland Golf Course. 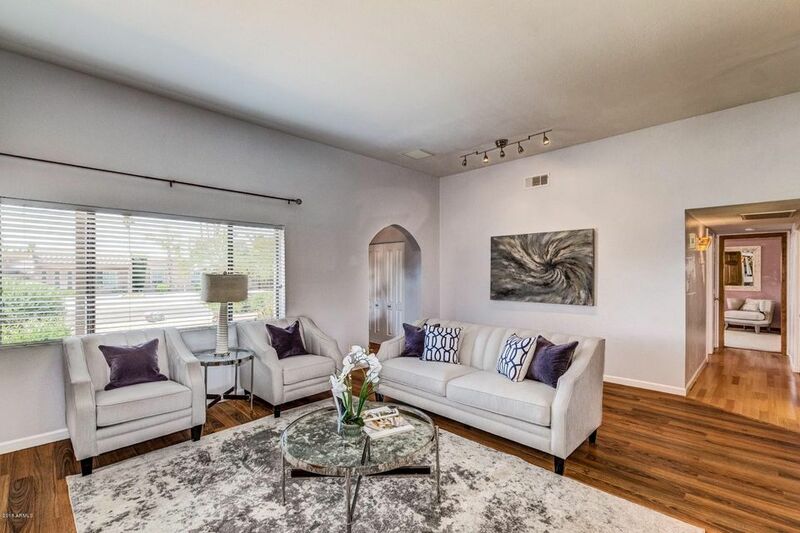 Entertain in this light and bright two bedroom + den home with lush green golf course views or relax in your zen moment lounging on a generous sunbathing patio overlooking the sparkling pool while listening to the waterfall. Live like your on vacation with concierge services, walk to Scottsdale Quarters & Kierland shops and restaurants. Grab a round of golf at Westin Kierland where The Landmark residents get a discount, or sip wine from the private wine room while you watch the sunset on the community veranda! 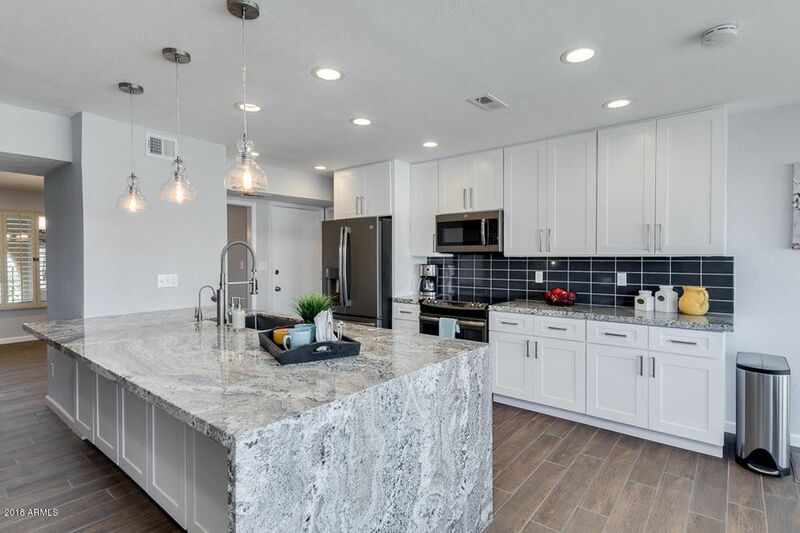 Don't forget to take advantage of the communities 5,800sqft clubhouse with concierge 6 days a week, wine cellar, two fitness centers, steam room, dog run, catering kitchen, too many great things to list! GORGEOUS RENOVATION ~ OPEN LIVING AREA ~ WHITE SHAKER CABINETS ~ DOVE TAIL DRAWERS W/SOFT CLOSE ~ GORGEOUS QUARTZ COUNTERTOPS W/WATERFALL EDGE ~ SPACIOUS BAR SEATING ~ BEAUTIFUL BACKSPLASH ~ EAT IN KITCHEN ~ MARBLE SURROUND FIREPLACE ~ LARGE DINING ROOM ~ BONUS ROOM (OR BEDROOM) NOT COUNTED IN THE SQUARE FOOTAGE W/STORAGE SPACE ~ LARGE MASTER BEDROOM ~ WALK-IN CLOSET ~ FULLY UPDATED MASTER BATH ~ ZERO GRADE SHOWER ENTRY ~ OVERSIZED SHOWER ~ DUAL SHOWER HEADS ~ DUAL SINK VANITY ~ LINEN/STORAGE CLOSET ~ MASTER BR PRIVATE EXIT TO YARD ~ GUEST BATHROOM DUAL VANITY W/QUARTZ COUNTERS ~ SUBWAY TILE IN TUB/SHOWER ~ SKYLIGHT ~ WOOD LIKE TILE FLOORING T/O ~ RECESSED LIGHTING ~ GREAT BACK YARD LIVING ~ POOL W/PEBBLE FINISH ~ POOL FENCE ~ GRASSY SPACE ~ RV GATE ~ 2 CAR GARAGE ~ PRIME 85254 LOCATION! Fabulous curb appeal! This beautiful home has been updated throughout including a brand new roof. Gorgeous custom kitchen with granite and stainless appliances. Hall bath vanity is beautiful as well as the new vanity and custom shower in the master bath. Ceiling fans throughout. Crown molding in the master bedroom and a rustic closet barn door. Dual pane windows throughout. French doors off the kitchen and master bedroom lead you to a relaxing backyard with fruit trees. 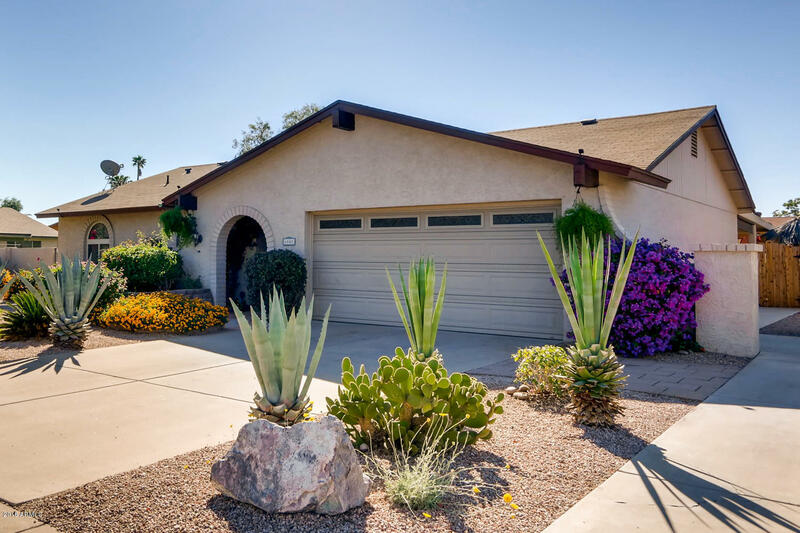 Your new home is located near all North Scottsdale has to offer and your just minutes from Kierland, Scottsdale Quarter and the Scottsdale 101 Plaza. You can enjoy shopping, dining, movies, golf, and even Whole Foods all within minutes from your home. You will not be disappointed with this amazing home! Welcome! 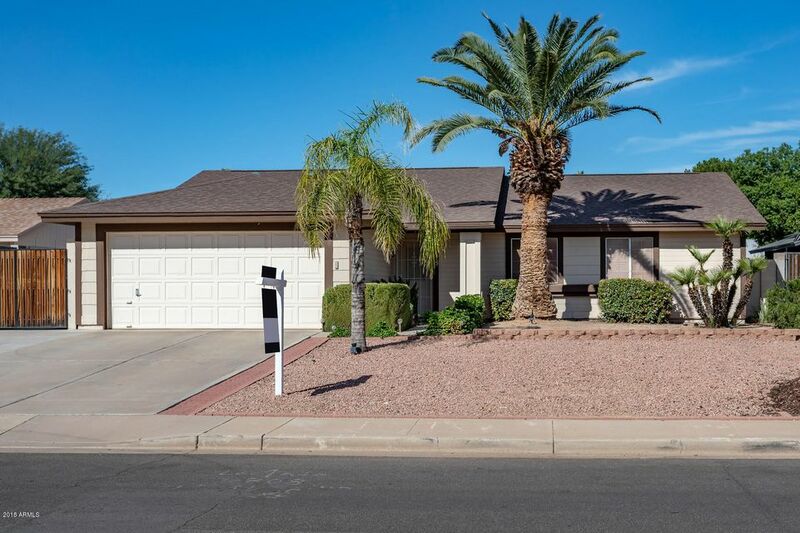 This meticulously maintained home offers 4 beds, 2 1/2 baths, open floorplan, 10' ceilings, & tasteful updates t/o. Upon entering, be greeted by an open family/dining room combo with built-in entertainment center & cozy wood burning fireplace. The breakfast bar ushers you into the kitchen with newer cabinets, granite countertops, tile backsplash, and window to the backyard. Down the hall, find separate guest quarters with bathroom and backyard access. Across the home, the master bedroom welcomes you with sitting area, ensuite bath, and walk-in closet. Two good-sized additional bedrooms complete this thoughtfully designed home. Backyard is a dream with fenced diving pool, grassy play area, & garden. Updates are many & include roof, HVAC, solar water heater, flooring, and more!! 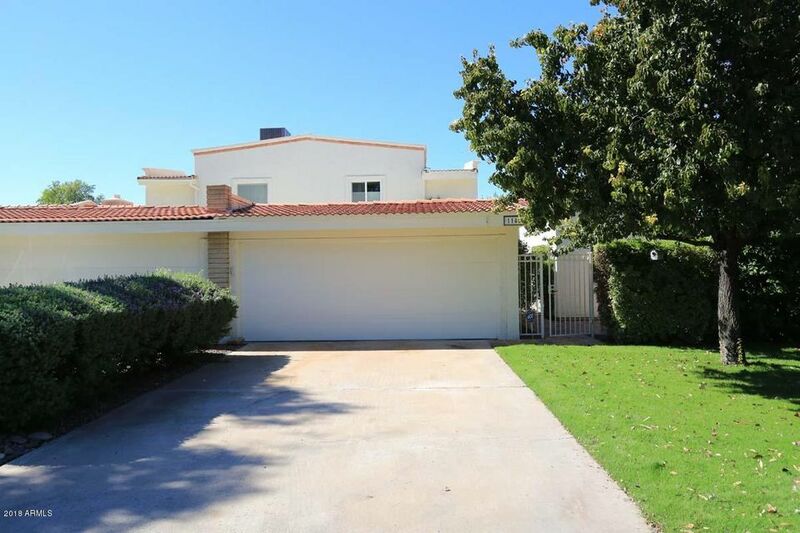 Do not miss this Terrific home located in the secluded Orange Tree community. 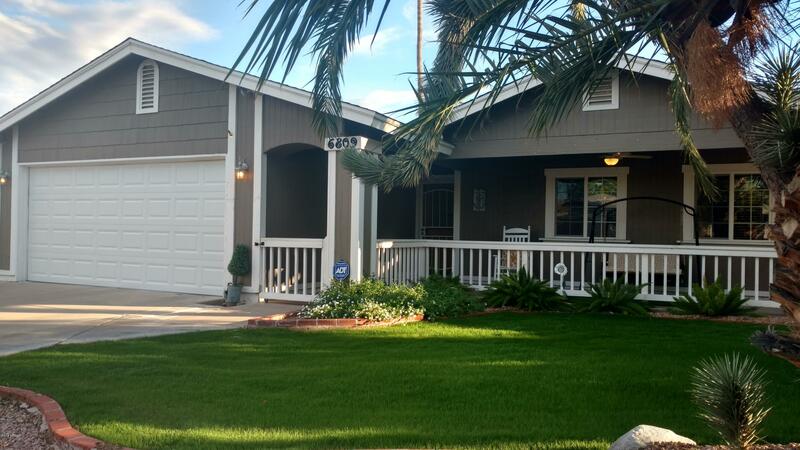 This lovely home has 2 large master suites, w/ a 3rd bedroom & full bath. All of the bathrooms have been beautifully remodeled with walk-in shower in the master bathroom. Enjoy the sunny and large eat-in kitchen w/ gas appliances and neutral solid surface countertops. The greatroom is an entertainer's dream with high vaulted ceilings, gas fireplace all opening up to the lush and private backyard. This wonderful community features walking paths and a sparkling pool and is centrally located close to golf, shopping, restaurants & schools. *REDUCED* Well below comps for a quick sale. Private 2 bed / 2.5 bath corner/interior unit with close proximity to the magnificant pool area. Large master with additional room currently utilized as a dressing room but could easily be converted into a 3rd bedroom. Massive windows and sliding door open to a private outdoor patio area. Great indoor/outdoor feel that is perfect for entertaining. Gas range and modern kitchen with large island. Includes 2 garage spaces and storage area. 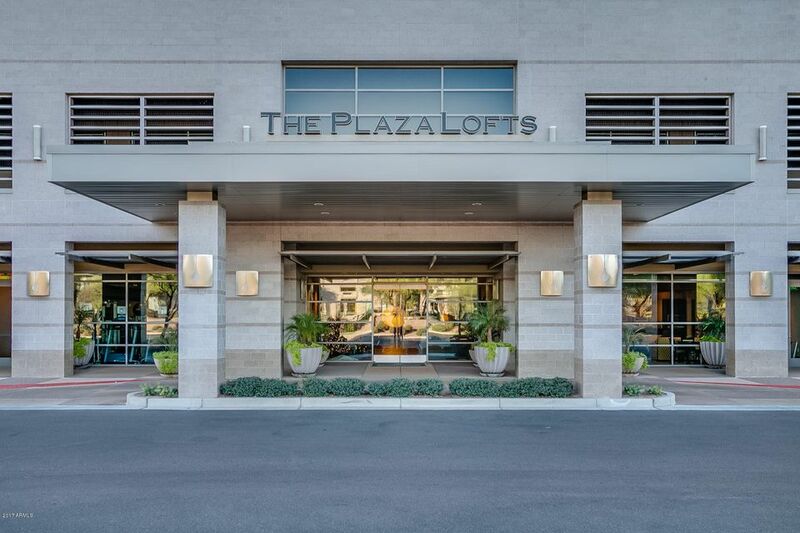 Amenities at the Kierland Plaza Lofts include gated garage parking, workout room, club room, concierge, and beautiful lobby area. 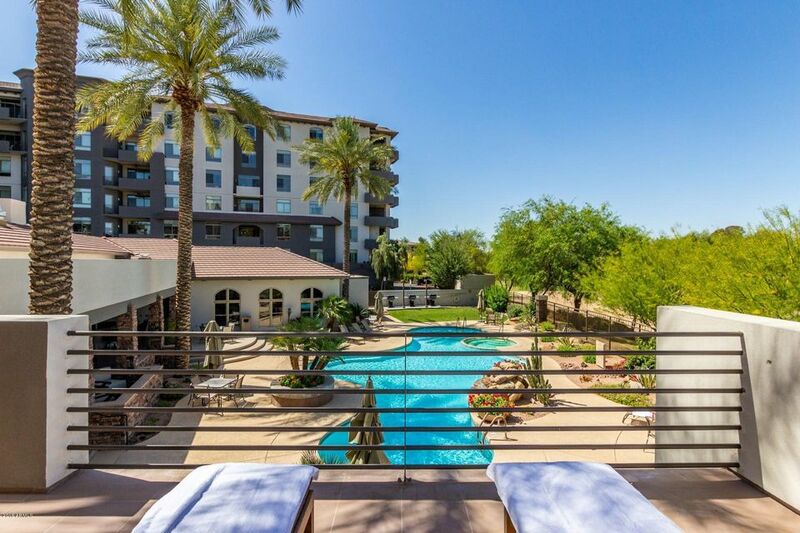 But the best amenity is the easy stroll over to all that Kierland Commons has to offer. 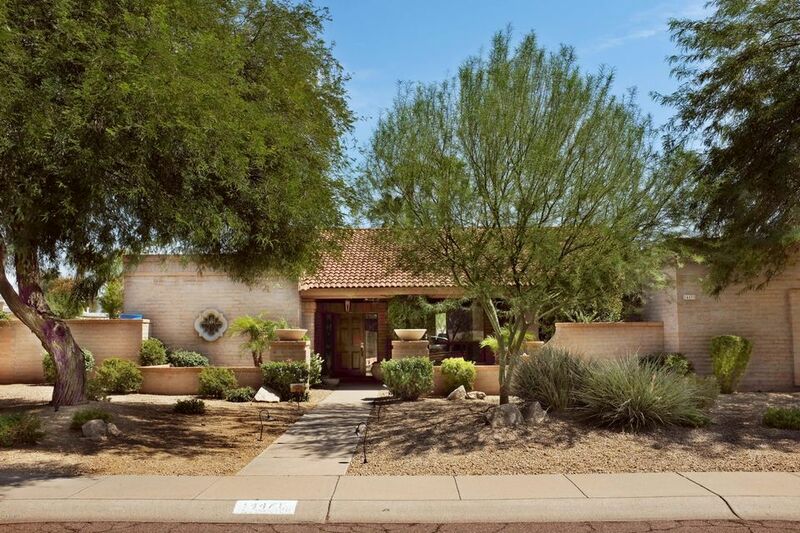 Highly sought after Scottsdale neighborhood.! FANTASTIC LOCATION! 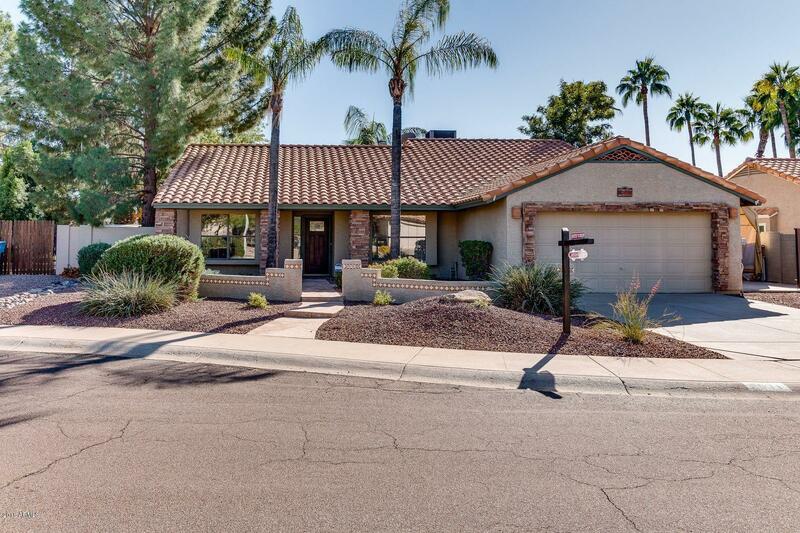 Five minutes to Paradise Valley Mall and just steps away from restaurants and entertainment. 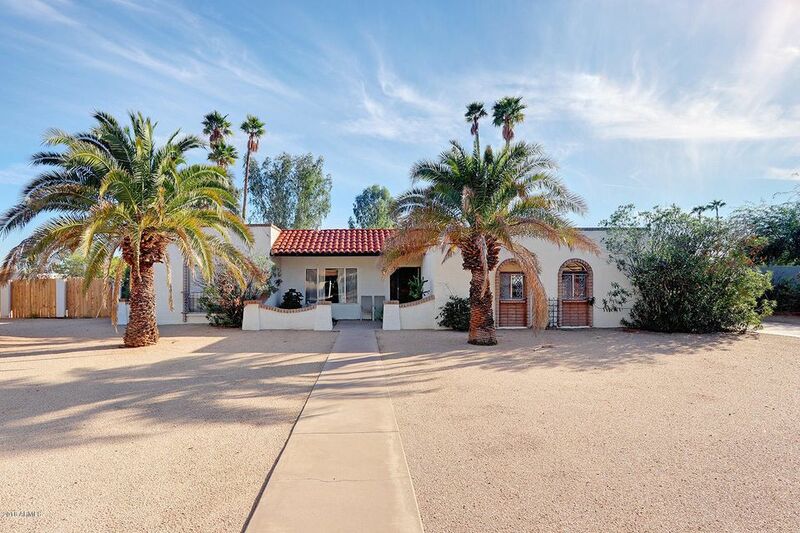 This charming 3 bed/2 bath home has been very well maintained. It features an Oasis backyard with a fountain and curbed garden beds. Plus a courtyard with pavers. There are also two very nice his & hers Tuff sheds with electricity and lighting, perfect for extra storage or a workshop. 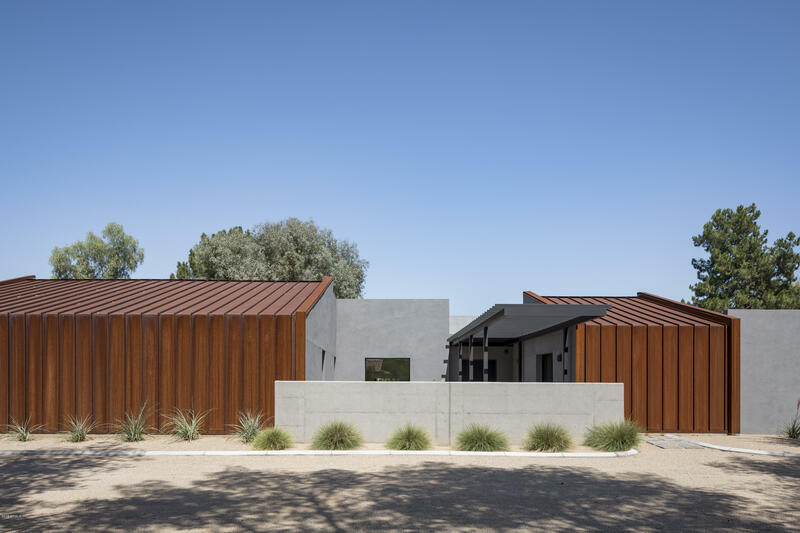 The home features an entire house water filtration system w/carbon block filtration. It is a very quiet neighborhood full of well maintained homes and best of all, no HOA!!! Don't miss out on this opportunity, this house has it all! great entertaining space right off the kitchen, huge closets, updated bathrooms, above ground spa, workshop in the back and so much more! 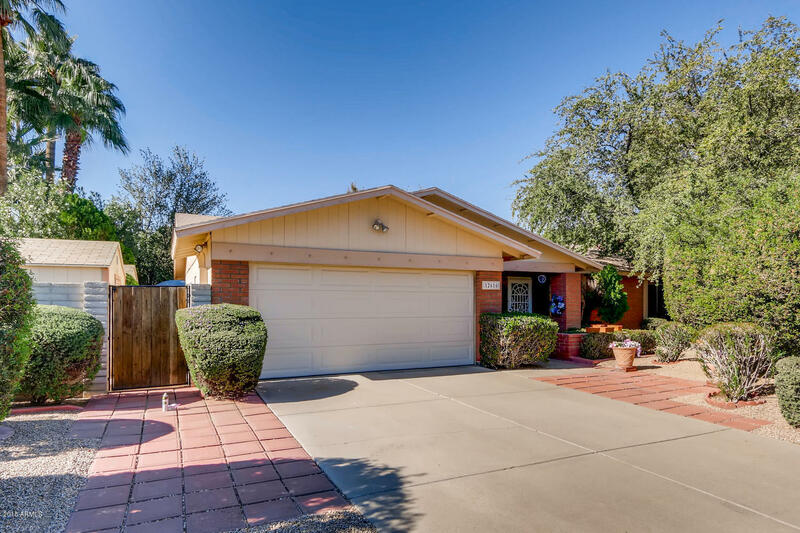 4 bedrooms 2 bath in the heart of Scottsdale just a stones throw from Kierland and Scottsdale Quarter! Home is in the Horizon High School Area, near an array of Shopping and Restaurants. Very close to freeway access and the Mayo Clinic. Talk about location location location! 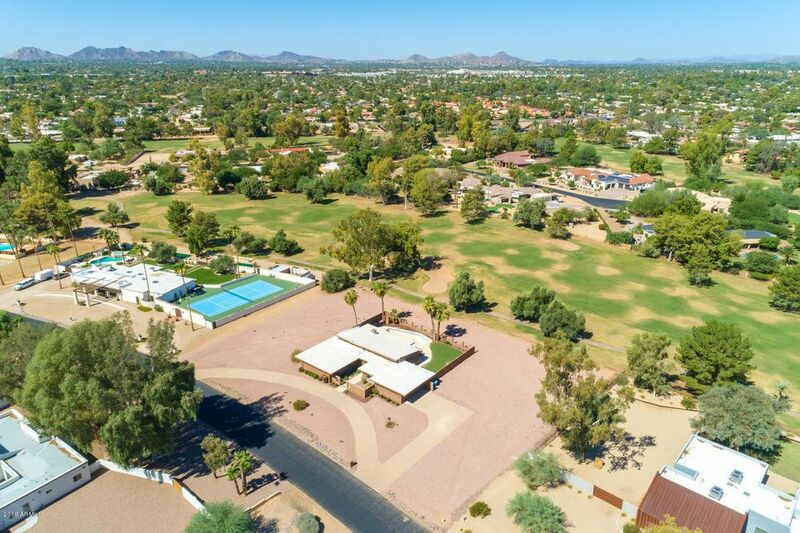 OPPORTUNITY KNOCKS FOR BOTH INVESTORS AND BUYERS READY TO BUILD IN THE PREMIERE SCOTTSDALE ORANGE TREE GOLF COURSE COMMUNITY, LOCATED ON OVER AN ACRE WITH NO HOA. Great opportunity for equitable gain with this ''AS IS'' property special. Fabulous GOLF COURSE LOT location. 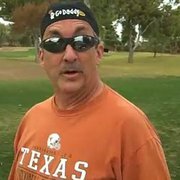 Seller will entertain all Reasonable Cash offers. Pool is empty and in process of being cleaned. PHOTOS ARE OF RENDERINGS ONLY - THIS HOUSE IS AT DEMO STAGE WITH ARCHITECT PLANS AND CAD DESIGNS TRANSFERRING TO THE BUYER.New sq footage is 5081 livable with 7,652 UNDER ROOF. Price does not include the cost of building the new home per the rendering design.